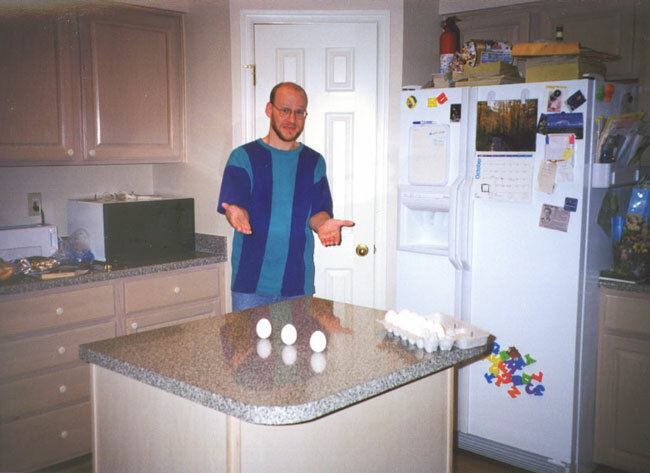 Explanation: Today is the autumnal equinox -- should eggs be able to stand on end? This long-standing myth loses much of its mystique after a demonstration that eggs can be made to stand on end during any day of the year. Pictured above, Dr. Phil Plait (Sonoma St. U.) 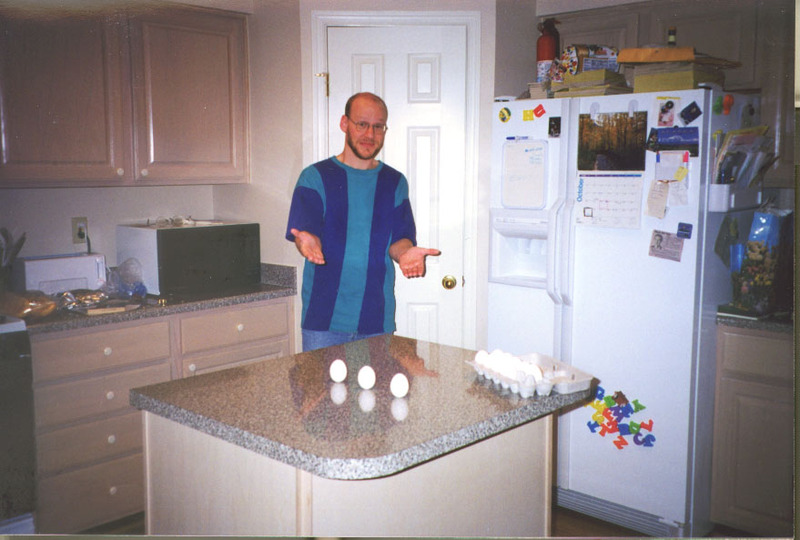 acting as the Bad Astronomer balanced three raw eggs on end in late October 1998. Later, more modestly, his wife balanced five more. The little-appreciated fact that most eggshells have small bumps on them makes this seemingly impossible task achievable. Although, during an equinox, every place on Earth experiences an equal length day and night (12 hours each), this fact has no practical effect on egg stability.